It’s that time of the year again where we have a valid excuse to get new clothes, new furniture, new bedsheets, new curtains, eat all the goodies we want and not feel one bit guilty at all. 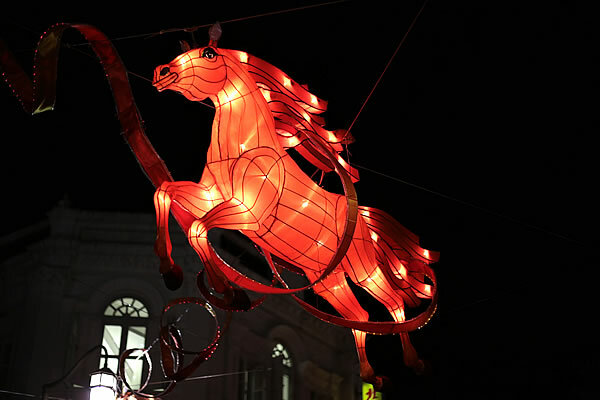 Yup the Chinese New Year is upon us as I write this month’s Editor’s Note and it is hard not to notice especially with all the decorations and festive music blasting away as we usher in the year of the Horse. For our overseas’ readers, the Chinese New Year as it’s name implies is to celebrate the first day of the new year in the Chinese Calendar this some have referred to this as the Chinese Lunar New Year as the olden Chinese love to count things around the moon. The festive period usually runs for 15 days and includes visiting relatives, giving of red packets or “Ang Baos” and of course lots of feasting. Thus if things gets a bit slow here at POPCulture online, it is most probably due to the POP Crew being busy with all these festive task especially with the traditional spring cleaning. Talking about new things, I am happy to say that the annual spring cleaning of POPCulture Online has been completed and the entire site is now sitting comfortably on a new server platform. We hope that this will not only make it easier for us to push out new and exciting content for you our readers but also to serve content faster. There might be a few fortunate bugs that have escaped the bug disposal team but we will do our best to squish these bugs as soon as possible. In line with all things new, the POP Crew is also very happy to feature the all new RoboCop on our cover for the month of Feburary. Most of us remember the part man part machine all cop hero from our younger days and to see Officer Murphy back on the big screen kicking bad guys is like a dream come through. Do check out our review of the new RoboCop movie and yes this is the one to catch especially if you have time inbetween house visitations. We also take a look at the upcoming Transformers: Age of Extinction movie where there has lots of talk about director Michael Bay bringing out the Dino Bots! Grimlock says bash more Deceptercons skulls and ignore Optimus Prime cos I am Grimlock and Grimlock is Leader. Ok sorry about that but the inner Dino Bot fan couldn’t resist. A pity that Rosie Huntington-Whiteley is not around anymore but we get Nicola Peltz from The Last Airbender so it is not that bad. POP Babe of the month is the very lovely and deadly Eva Green. Lovely looks with skills to not only protect her loved ones but an entire nation in the upcoming movie 300: Rise of an Empire. No wonder there was no competition when deciding who is going to be our POP Babe this month. Last but and not the least, 恭禧發財 (Gong Xi Fa Cai) – Wishing you to be Prosperous in the Coming Year from everyone at POPCulture Online! Happy Chinese New Year to All~!